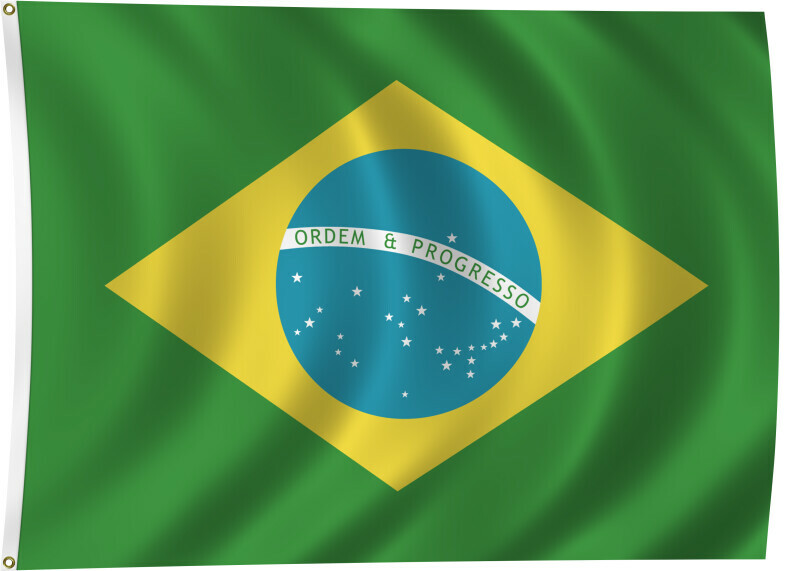 Color flag of Brazil. Green with a large yellow diamond in the center bearing a blue celestial globe with 27 white five-pointed stars (one for each state and the Federal District) arranged in the same pattern as the night sky over Brazil; the globe has a white equatorial band with the motto ORDEM E PROGRESSO (Order and Progress). Flat color and black/white versions of world flags are available on the Clipart ETC website.